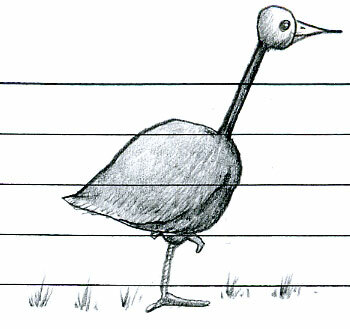 Goose type of creature standing on one leg. Back on the old dependable yellow plastic papermate sharpwriter mechanical pencil. This entry was posted in creature. Bookmark the permalink.